I met the estimable Alan Harman at Barkston Heath at the BMFA Free Flight Nats on Sunday. As you may or may not know Aeromodeller has been making some of the more 'iconic' old cover illustrations available as A3 prints. Just the ticket for the rocketeeer's workshop, so get one while you can. I've ordered two (happy birthday Andy). According to Alan, (a very nice chap indeed) the posters fit one of the rather nice frames readily available from Ikea. 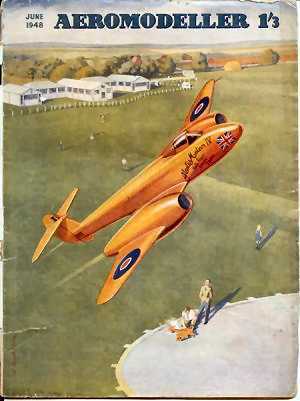 Are there any other 'jet-related' AM covers we should be looking out for?